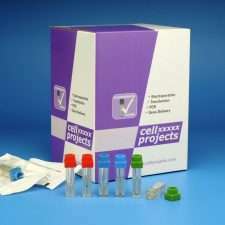 2 x RFX Assisted RNA Saliva Collectors (Each containing funnel, tube filled with 1ml stabilisation buffer, 2 x 2.2mg proteinase K, 2 x 0.2ml precipitation buffer, 2 x foam swabs & instruction booklet). 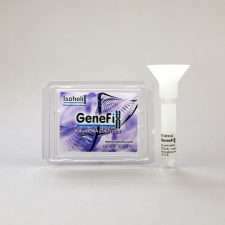 GeneFiX™ RNA collection is an easy to use RNA saliva collection device that stabilizes RNA from the moment of collection for 2 weeks. 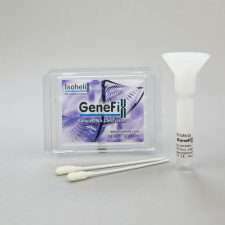 These Assisted GeneFix™ DNA saliva collectors are for 1ml saliva samples and contain foam swabs for collecting saliva. 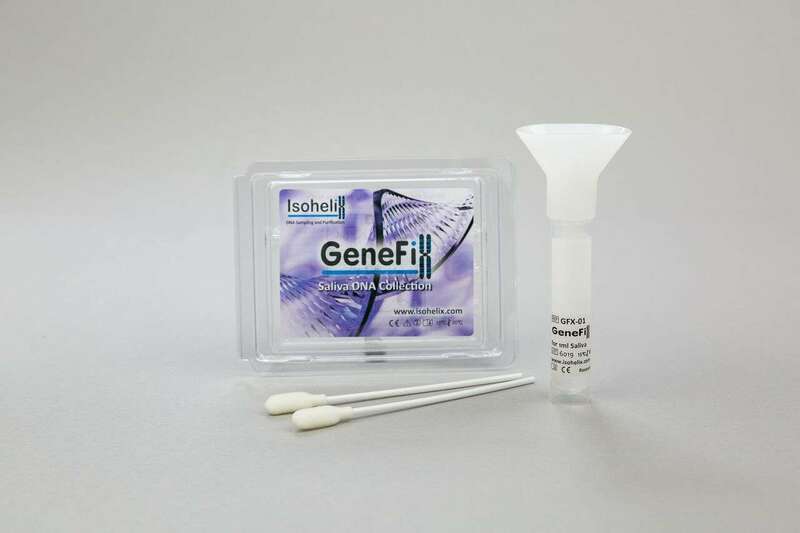 GeneFix™ Assisted Saliva Collectors are especially useful where donors find it difficult to delivery saliva, such as children. The assisted kits contains the standard GeneFix components and 2 absorbent swabs to assist the saliva collection. The swab is simply squeezed against the inside of funnel to release the saliva into the 1ml of stabilized buffer. The collector is pre-filled and has a simple screw-on funnel for simple saliva delivery directly into the non-toxic stabilization buffer. 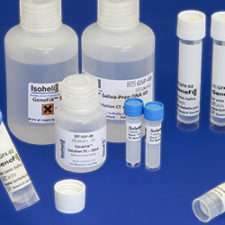 The saliva collection tube clearly indicates the volume of saliva required after which the funnel is removed and cap replaced. 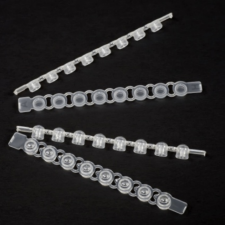 The unique funnel design prevents flow back and the device is fully specified for sample transport and storage.